Singapore-based, Aspial Corporation secured the site for $36 million, almost double what Cornerstone paid for the block when it bought the site from listed developer Devine in December 2013. 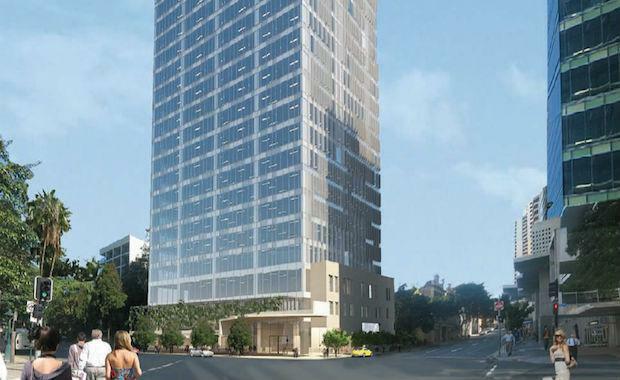 Devine had received DA approval to build a 20-storey office space on the 2,077 square metre site, however failureed to obtain precommitment funding. Cornerstone hadn’t made any changes to the existing development application when the site was sold to Aspial. JLL’s Seb Turnball managed the transaction. Koh Wee Seng, the man behind Aspial is also reported to be acquiring 240 Margret Street in Brisbane. Aspial is also the developer of the famed Australia 108 project, the first 100-storey apartment tower in the southern hemisphere.